Amanda Rose is standing at the entrance to an abandoned mine. When she steps through the opening, she'll discover something incredible. Only a few days ago, she watched her father leave their home to go on a secret mission. A few hours later, she was searching the desert site where his plane had crashed for clues to his disappearance. Are you brave enough to walk boldly with her into the unknown? Find out in Amanda Rose: The Game of Time! Walk boldly into the unknown! 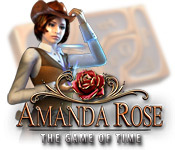 Amanda Rose: The Game of Time is rated 3.2 out of 5 by 10. Rated 5 out of 5 by upsysydaisy from Thanks To Amanda, It Was A Fun Time It was a fun game, I really enjoyed the adventure and the uncomplicated game style. It started out just so-so but picked up the interest factor as the game progressed. Chapter 13 was the beginning of the good stuff. My favorite scenes and tasks started in the mine. Lots of interesting things in there, especially liked the lightning bugs and crystals. It was a busy time, very colorful, numerous things to find and goals to accomplish. It was interesting. The graphics were crystal clear and very colorful with comic book style art which I always happen to enjoy quite a bit, The characters in early part of story physically moved very minimally but it was interesting to see. The rest of the story was all "still-art". No talking...just dialogue inside word bubbles, but that never bothers me as long as I can follow the storyline. Amanda seemed too beautiful and put together for this type of adventure, but she pulled it off quite well! Her headshot was in the left lower corner of screen. It was kind of silly and distracting as she shook her head each time you made an incorrect choice or nodded when you made the right choice when clicking on an object. A cute idea I guess, but I did not find it cute or helpful. It was not a helper-type feature. The inventory list was tricky, it was confusing to me and took some getting use to. I hate to admit it took me a while to get the hang of it - DUH !! The hint button became a useful tool with the list, as you will discover. But there are no penalties involved. When your work is done in each area, you are informed and the smaller "special" hidden items areas are "closed" so you don't keep wasting time returning to those places. I liked that feature very much. The Temple later in the game was spectacular, didn't expect anything like it considering the scenery and theme of the game thus far. The colors, the objects, the activities were grand. I think you will be delighted when you arrive there and travel throughout the different rooms. There are 16 chapters, the game was a good length that did not wear me out. It had a decent ending that didn't leave any loose ends and Amanda, her father and Doc escaped the dangerous time-line travel to live happily ever-after, of course! A good purchase with coupon or on sale. I happily recommend. Rated 5 out of 5 by megs56 from DIFFERENT FROM THE REST I really enjoyed this game. It was totally different. The graphics were superb. It seems that everyone wants the easy way out in games these days, this one reminded me of gameplay 10 years ago, where you had to think a little bit. I loved finding the bits and pieces and then working out how to incorporate them into the scene. The story was just OK - Amanda has to find out where her father and Doc have gone, in time. LOVED the puzzles. Well done. Rated 4 out of 5 by pennmom36 from Amanda Rose To The Rescue Amanda's father left the house in a hurry explaining that he was traveling to Arizona to help a friend. A few days later Amanda receives a package and a letter from her father explaining that she is going to get a call telling her that her fathers plane has crashed and her father hasn't yet been found. All kinds of mystery surrounds this story but she flies to Arizona to follow her dad's requests. This is a really unique kind of game, you find items in each scene, some inventory items need further action such as putting two items together to complete. 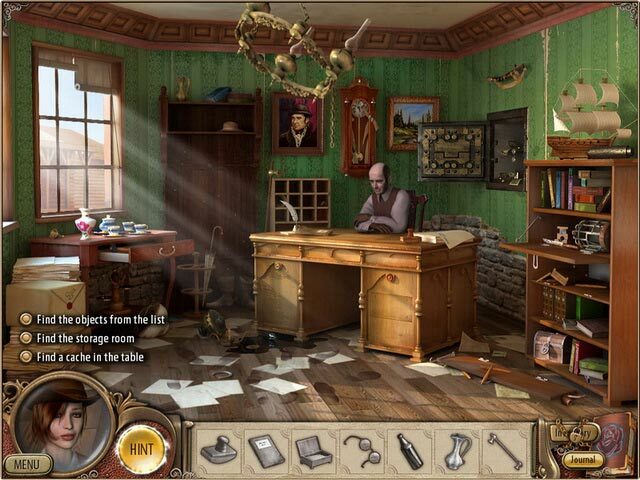 You will need to toggle between the hidden object list and your inventory list as well. You search each scene for available tasks such as a suitcase that requires a code to open. In order to find the code you may need to find a key, open up a dresser drawer, to find a blank piece of paper. After you find all the pieces to an oil lamp, you assemble the lamp, find the matches and light the lamp. Once the lamp is lit, you take the blank paper, hold it to the light in order to make the code for the suitcase show up. Very time consuming but very interactive and fun, enjoy! Rated 3 out of 5 by Shastanna from Just Ok. Gameplay was clunky, but the graphics were nice. Rated 2 out of 5 by mrm2006 from Not my cup of tea The storyline makes sense. Mystery surrounding finding her father with a mystical something or other. But that's when it ends. There's a portal at the beginning after you have to find not only HOs but locked items. You're transported to some western town (?) and still HOs and locked items one after the other after the other. After an hour of free trial you have no clue what the game is about and nothing makes sense. Sorry, Glam-ma says no to this one. Rated 2 out of 5 by Jem_Jerrica_Guy from too slow paced Like others have said, this is just a slow paced game. 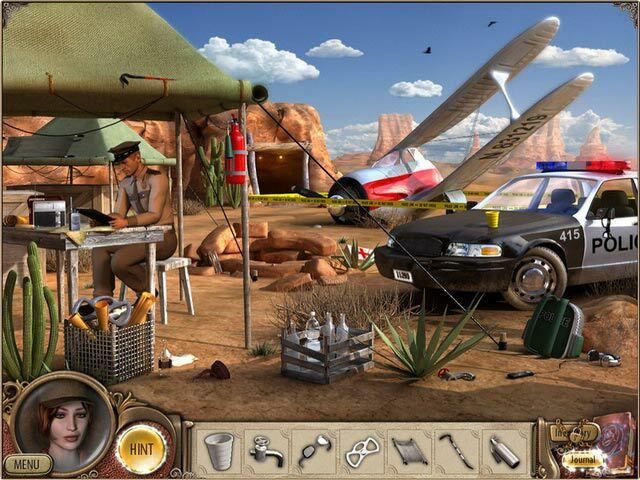 The challenge is trying to find all the hidden objects, some of which are hard to find. Plot was unclear. This is not as well developed as other developers' games. Rated 2 out of 5 by astrateia from Pretty confused. The plot seems interesting; the random comic panels are visually pleasing and I'd love to see what happens to Amanda. Unfortunately, the actual gameplay is pretty awful. 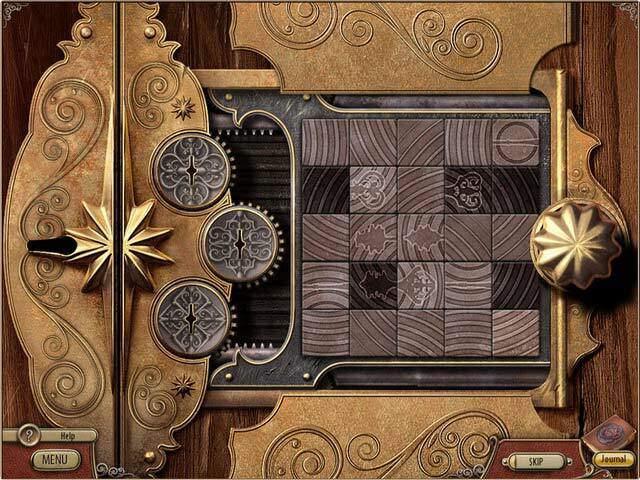 The difficult HOG scenes are confusingly intermixed with badly-defined puzzles -- maybe you're supposed to find *different* objects, and then get back to finding hidden objects? Or... something? The hint system makes it possible to get through the puzzle/glitch/object space, so you can keep playing indefinitely. For me, that meant "through the demo", after which I didn't pay for the full game -- and I still have no idea what's going on. Rated 1 out of 5 by tredmarpm from Dumb, Dumb, Dumb Graphics and gameplay are equivalent to games that were developed three or four years ago. Played the free trial. Totally disgusted. Would never go further.